Thickness:0.30, 0.35, 0.40, 0.45, 0.50, 0.60mm. 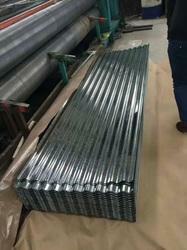 Galvanized corrugated roofing & walling sheets. 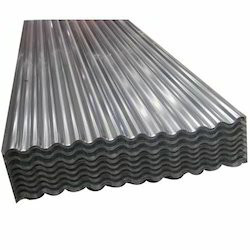 We offer a highly efficient range of Galvanized Corrugated Roofing Sheets. These sheets are constituted from safe and eco-friendly materials which make them the preferred choice for many applications. Some of the features of our unique range are as follows. Our entity is among the trusted names, involved in providing Galvanised Corrugated Sheet. Experts make this product as per client’s demand using the advanced technique.